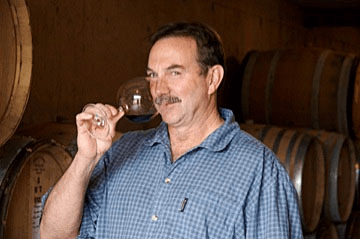 Review: The Acrobat Pinot Noir is produced and bottled by King Estate winery, one of the more prominent wineries in Oregon. The color is a bright ruby, and clear (as in, you can see right through it). On the nose, I got lots of bright cherry, and I mean bright! Very fresh fruit, a touch of tobacco and sweet spices. The palate is almost zesty in its acidity. Again, this is a bright fruit wine – lots of fresh cherry and raspberry and a really lively acidity as its backbone. This is a light-bodied wine, one that is perfect with food (particularly food with acid) and a great red to drink in warm weather. Totally refreshing. Read more of my reviews on my Wine.com community page. Review: This is a gorgeous Pinot Noir for the price , showing just why everybody is snapping at the 2008 Oregon wines. They are structured, yet zingy with acidity. They are ripe but are not just about fruit. This is the entry level PN from Adelsheim, yet every year this bottle shows an elegance and purity that is hard to beat. Adelsheim is known for its wines more on the lithe spectrum, along with Eyrie. This particular wine starts with a nose has an interesting darker fruit component than normal for this cuvee, yet, as time moves on in the glass, it develops some earthy and cherry notes, along with a tiny bit of smoky pleasant oak, which does not intrude. There also is an interesting wee bit of chocolate and California Bay Leaf. This wine is stupendous on the nose.. really great. Upon entry to the palate, the wine has a powerful sour and sweet cherry sensation , along with a very smooth and elegant feel. It has a good whack of acidity (the sour cherry) and the spice coming from the tiny oak. There is something very alluring about this wine, and shows how in this vintage this wine which is usually a good value is extra special.. This wine will develop over at leat 5-8 years into something really great, with many complex and alluring secondary characteristics, but is hard to resist now.. a great wine for mediterranean fare, or duck. I have to agree with Wine and Spirits on this one. A warning however to those who like a bigger style, this is not that. Bravo Adelsheim, sweet fruit along with firm acidity. 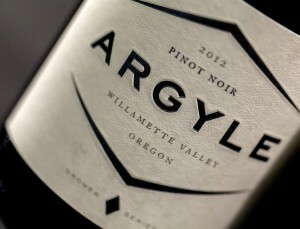 This is what makes Oregon Pinot done right a really wonderful thing. I was on BART when I read this great wine article in the New York Times http://nyti.ms/hJNHAO. One of the wines, Adelsheim Pinot Noir 2008, was available in our Berkeley warehouse, so I bought two bottles. I brought one of them to a get-together last night. There were four of us at the gathering, though only three drinking wine. So we poured three big glasses of this Pinot, which we paired with excellent pizzas … BBQ chicken and Vegetarian on whole wheat crust. I liked it … it’s a good Pinot, but not a phenomenal Pinot to me. To be fair, the article really built up the vintage and called it superb. Again, they called the year of 2008 superb, not necessarily the wine. In fact, the judges described the Adelsheim as “lively and structured,” which it is. But beware of the alcohol content – my partner and I woke up with a slight headache from our one big glass each. When drinking the second bottle, I’ll be careful to share it between four instead of three and also try pairing it with something a bit more sweet and savory (like roasted pork with a fruit sauce) to bring out more of the sweet notes.